"If you are hardworking and determined, you will make it and that's the bottom line. 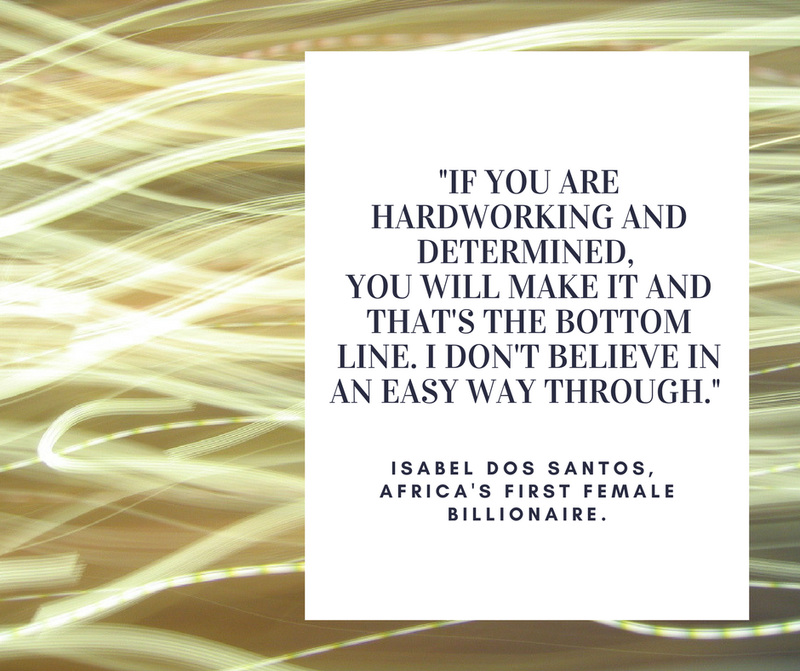 I don't believe in an easy way through." 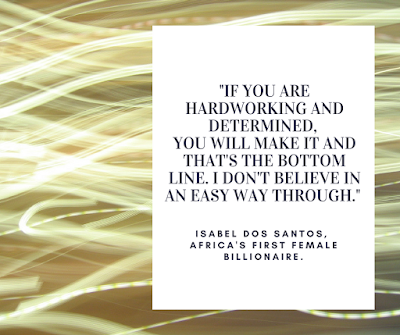 - Isabel dos Santos, Africa's first female billionaire.